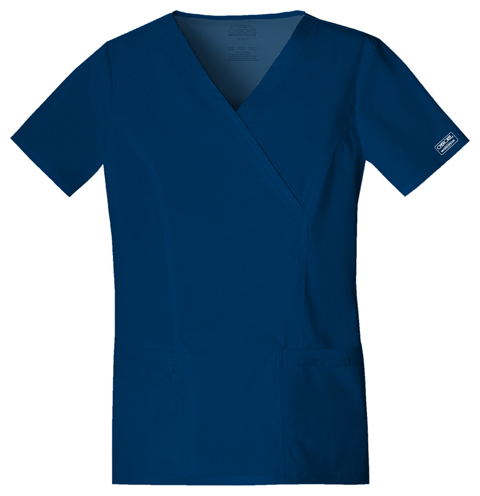 Feel the luxury in this economy scrub top! This mock wrap top features front princess seams and double needle top stitch detail. Also included are front patch pockets, a right side pocket with a sectional pocket and I.D. loop, a left side pocket with an instrument loop holder across pocket. Back princess seams and side vents. Center back length is 27". Made of 55% Cotton, 42% Polyester, 3% Spandex. 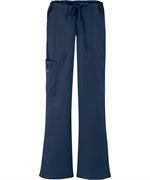 Pair with Workwear Stretch pants 4044 or 4043.